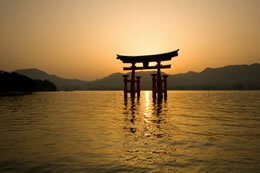 Asia is an exotic cruise destination with a myriad of countries to explore. As you move throughout the region, from one nation to another, each presents itself with a unique experience to savor. Indonesia, Malaysia, Vietnam, China, Japan, Thailand; all have distinctive cultures, traditions, foods and languages. 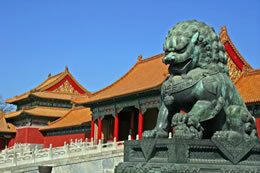 Asia is a land of tranquil temples, opulent palaces, and ancient ruins built by eminent civilizations of long ago. 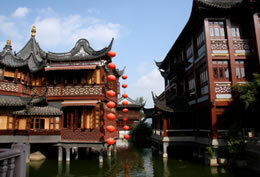 Spiritual dwellings representing Buddhism, Taoism, Islam and Christianity harmoniously co-exist and invite exploration. There are cosmopolitan cities and rural villages where life has remained unchanged for centuries. Asia is home to beautiful rainforests, beaches, reserves and a profusion of World Heritage sites.Cruises to Asia are exotic and exciting. Hong Kong, a former British territory is an exciting, electric city! A collision of Western and Eastern cultures, of ancient values mixed and the modern world, and of course, what shopping! Singapore is much the same way and spending a few days in either of these cities would be advisable. Side trips to Xian and Beijing give travelers the opportunity to see the Terra Cotta Warriors and stroll the Great Wall of China. Indonesia is a group of islands, 13,670 in all, though many are small and inhabitable. Bali is the best known of these islands; think of the serene, lush tropical oasis that was the backdrop for Elizabeth Gilbert's “Eat, Pray, Love.” Rice paddies that cling to the hillside, dense jungles swarming with monkeys and hidden stone temples and sandy white beaches that beckon relaxation all make Bali the perfect retreat! East of Bali is the island of Lombok, which has until very recently remained almost unknown. With miles of pristine beaches, magical waterfalls, the large, looming volcano of Mount Rinjani (part of the celebrated “Ring of Fire”) combined with relatively few tourists, Lombok is paradise. Think of it as Bali was before the influx of tourism. Thai food has become popular throughout the world, but no matter how authentic your local restaurant claims to be, nothing compares to sampling the fare in Bangkok! While some Thai food ingredients are familiar, others are strangely exotic, like the country itself. Thailand has more than 30,000 Buddhist temples and Bangkok is home to some of the most beautiful in the world. If you have time to visit one consider the Temple of the Emerald Buddha, which houses the country's most revered Buddha image and is on the grounds of the Royal Palace. Check out Chatuchak, a huge, 9000 stall market that takes place in an area of the same name. It is a shopper's paradise selling everything from souvenirs, handicrafts, clothes, antiques and all kinds of food from different regions of the country. 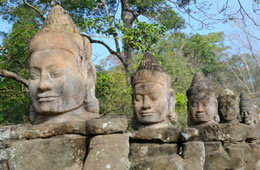 Cruising is an ideal way for both seasoned adventurers and cruise enthusiasts to explore Asia. If the lure of the Far East beckons you but you are a bit intimidated of the unknown, a cruise is security. Upon landing at the airport a cruise line representative is waiting to whisk you away to the ship. Escorted group shore excursions and pre and post stays gives you the advantage of touring with local, knowledgeable and experienced guides. If you don't find the local cuisine to your liking you can eat all your meals onboard the ship. Experienced travelers still have the opportunity to venture down the road less traveled, hop a train to a nearby town, and mix among the local people. The cruise ship acts as a floating resort where one can lay his or her head at the end of a busy day! Just being able to unpack once and not have to trudge around heavy bags from city to city makes it a worthwhile to visit the Far East from the comfort of a cruise ship! Traveling halfway around the globe to the continent of Asia is an experience many spend their lives dreaming about, yet never have the opportunity to fulfill. It is hard to find another land that can boast a culture as rich, exotic and diverse. Wherever you go, whatever you do, your cruise to Asia will be etched in your memory forever! 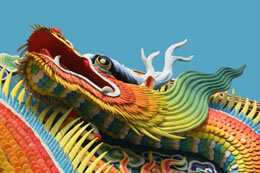 What better way than to take in a foreign land than with the comforts and variable itineraries of an Asia cruise? Throughout the year, cruises leave from several of Asia's major cities, touching and allowing passengers to explore the sights, tastes, histories, and attractions of the continent’s large range of cultures. Experience some of the world's busiest cities, shopping, delicious cuisines, beautiful beaches of white sands, and centuries of history. Itineraries tend to focus on groups of East or Southeast Asian cities and ports, although some traverse a large swath of the eastern coast. 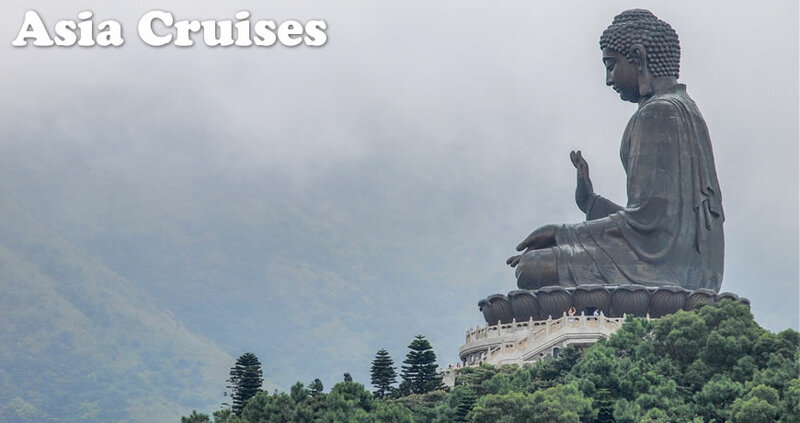 Ships from Azamara, Crystal, Cunard, Oceania, Regent, Royal Caribbean, Seabourn, SilverSea, and Viking River Cruises depart from Beijing, Hong Kong, Mumbai, Singapore, or Tokyo. Typically, trips last about 14 days, although shorter two- or three-day trips stop at popular Southeast Asia destinations. Asia's East and Southeast regions offer a wealth of cultures, cities, and destinations to explore, from older temples and rice paddies to landscapes of beaches, rainforests, and ruins. 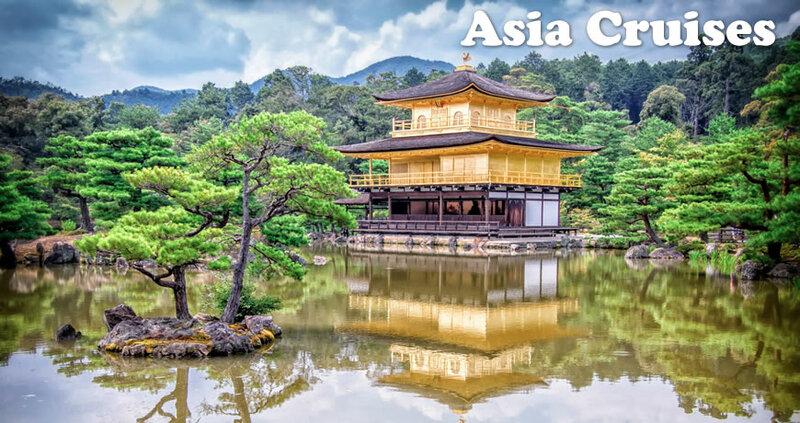 Asia cruises stop in popular, well-known locations, such as Tokyo, Phuket beach in Thailand, or the island of Bali in Indonesia, and explore lesser-known parts, such as the recently-discovered island of Lombok in Indonesia. Where could a cruise of Asia possibly stop in? • Singapore is both a departure port and destination on East and Southeast Asia cruises. The small island country, right off Malaysia, is a confluence of cultures and is known for its cleanliness, shopping, and food. • Phuket in Thailand is characterized by beautiful beaches along the Andaman Sea and active nightlife. • Shanghai, in the present, is one of China's growing cities and a financial hub for the world's most populous country. Even with a modern look, Shanghai has hundreds of years of history backing it. • Tokyo and other Japanese cities provide a wide range of landscapes, settings, foods, activities, and history to explore. • Hue and Hanoi in Vietnam let travelers into the country's rich and varied history and offer ample opportunities for exploring the country's cuisine. For the novice looking to explore the East to the seasoned traveler looking for a fun, educational, and varied experience, cruises to Asia open up a large range of vacation possibilities.